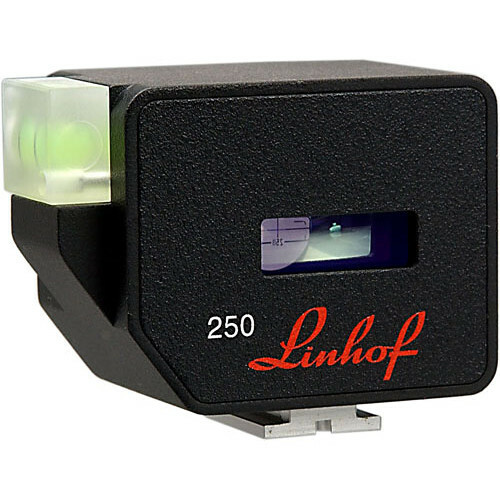 The Linhof Technorama Viewfinder for Technorama Tele-Xenar 250mm f/5.6 Lens Unit is a dedicated accessory viewfinder designed for use on the Technorama 617s III Panoramic Camera. The viewfinder attaches to the center accessory shoe on the camera body and provides the same angle of view as the Technorama Tele-Xenar 250mm f/5.6 Lens Unit for accurate image composition. The Albada system (inverted Galileo) type finder with bright-line design incorporates cross-hairs and a reflected spirit level within the finder to aid in creating precise, level compositions that benefit working with the 6 x 17 format. The finder can also be used off-camera to help visualize compositions more easily. Box Dimensions (LxWxH) 4.8 x 3.9 x 3.2"